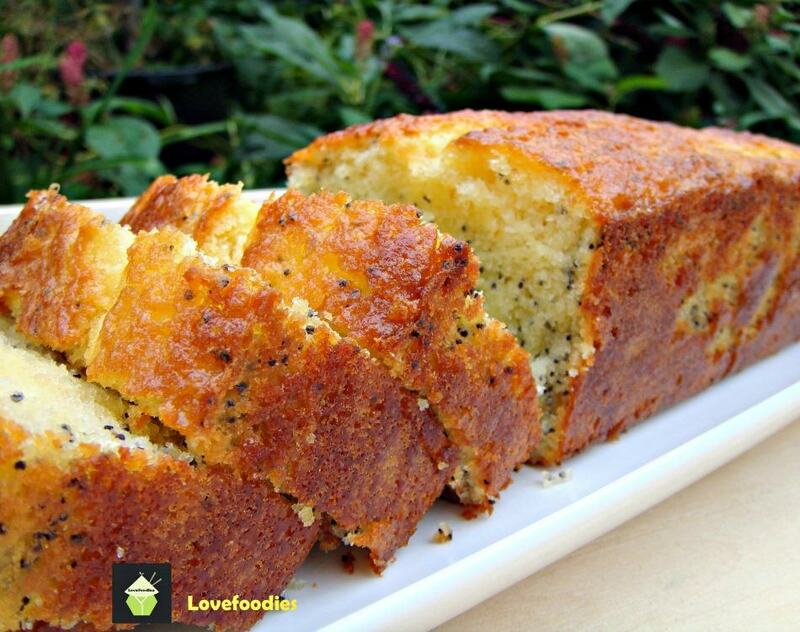 Lemon and Poppy Seed Loaf! This is truly a delightful cake. 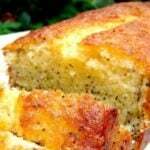 The flavours are gentle, the cake is soft and moist and of course looks so pretty with the addition of poppy seeds sprinkled throughout the cake. Lemon and Poppy Seed Loaf! This is truly a delightful cake. 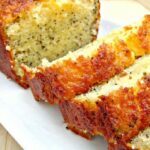 The flavours are gentle, the cake is soft and moist and of course looks so pretty with the addition of poppy seeds sprinkled throughout the cake. 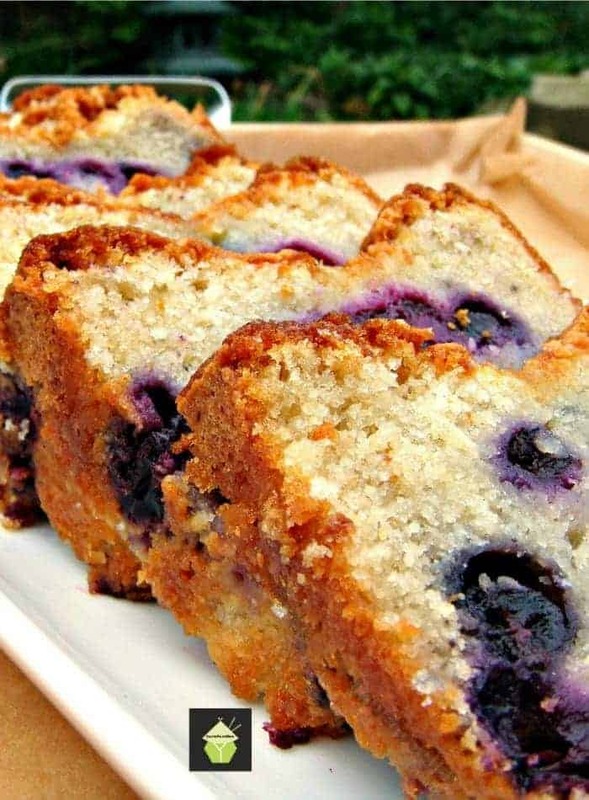 All you need to do once you have baked this cake is sit down with a slice and have a lovely cup of tea! Once you’ve tried this recipe, I am sure you will make it time and time again. Here at Lovefoodies we LOVE cake! 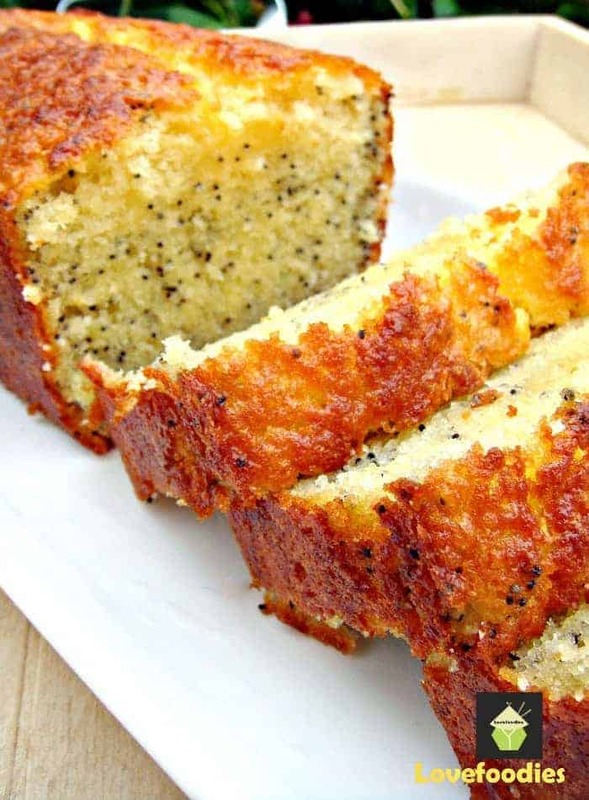 This lemon and poppy seed loaf cake is very similar to a pound cake. It’s quite dense, and soft in texture. Buttery and of course lemony! One of the things I love about this recipe is that you can make it in round pans or little cup cakes, and you can also freeze without any loss of flavor or texture. That’s so handy if you need to make ahead for a party or celebration. So here’s the recipe, and enjoy or lemon and poppy seed loaf cake! 3. Start with making the cake batter by creaming the butter and sugar until a pale light colour. Add the lemon extract. 4. Slowly add the beaten eggs to the mixer, on a low speed setting, a bit at a time. If the mixture starts to curdle or split, add a spoonful of your sieved flour, keep on adding the eggs, and a bit of flour if necessary, until all the eggs are added. Add the lemon Juice, zest and poppy seeds. 6. Transfer the cake mixture to the greased and lined loaf tin. Then place in the oven for 1 hr to 1 hr and 5 minutes. 8. When the cake is done, take it out of the oven and leave in the cake tin until cool enough to transfer to a cooling rack. 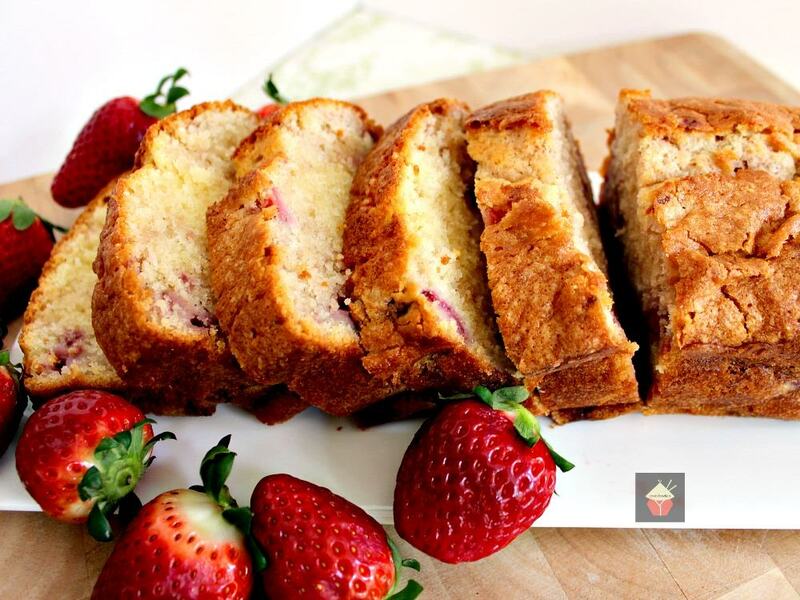 Here’s a few more of our popular pound cake recipes for you to enjoy! Get all your ingredients ready, i.e sieve the flour, and add the salt and baking powder to the flour etc. Start with making the cake batter by creaming the butter and sugar until a pale light colour. Add the lemon extract. Slowly add the beaten eggs to the mixer, on a low speed setting, a bit at a time. If the mixture starts to curdle or split, add a spoonful of your sieved flour, keep on adding the eggs, and a bit of flour if necessary, until all the eggs are added. Add the lemon Juice, zest and poppy seeds. Transfer the cake mixture to the greased and lined loaf tin. Then place in the oven for 1 hr to 1 hr and 5 minutes. When the cake is done, take it out of the oven and leave in the cake tin until cool enough to transfer to a cooling rack. I tried the cake and 300f seemed a little low, after an hour the cake was very pale in colour. Hi Venetta, yes, indeed, this cake can be frozen! Please enjoy! I’m from South Africa, I tried this cake out for a family trip. It was a huge hit. It looked just like the picture. It had a beautiful moist and soft texture. I would highly recommend this recipe to anyone. Thank you for the recipe. you have such great recipes on your site. can you make a pie with your banana pudding recipe. Hi Carol, Thank you for your kind words. Yes, of course you could make a pie with the banana pudding recipe. 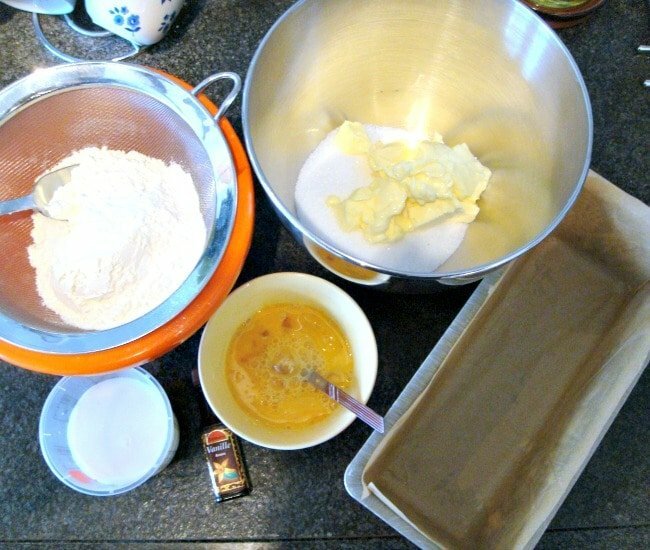 It is easy enough to do, if you wanted to make a pastry pie crust, you can follow this recipe here, https://lovefoodies.com/tropical-coconut-pie.html or if you wanted to make a graham cracker crust (which would be a no bake one), follow the instructions here for the BASE only, so you have the correct quantities https://lovefoodies.com/creamy-cocoberry-pie.html . I hope that helps! I’ve just made this with my 3 year old son and it turned out beautifully! Delicate flavour and lovely textures. Thank you so much for sharing. Hi Becky, thanks so much for your feedback and so happy to hear your little boy enjoys cooking too!! hi!ur recipes are very good…thnks for sharing it.. I made this cake and mine is very heavy, not toasty brown on the outside and definitely not that yellow. I followed the directions exactly like posted. Do you have any answers? Hi Darlene, thanks for writing in and I’m sorry your cake didn’t turn out as expected. I can think of a few things which might be the cause (there may be others which I don’t know of). First, it could be that your oven might need recalibrating, in other words, the temperature may not be accurate. 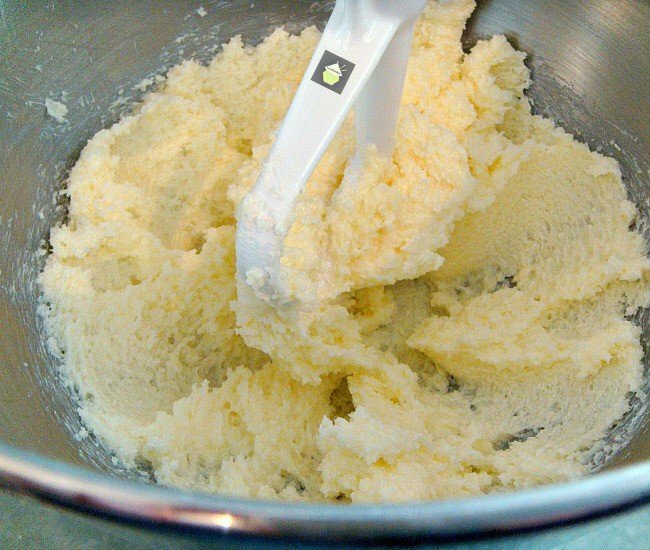 Or, when you come to beat the butter and sugar, it really needs to be beaten for a while until it goes almost a white color and fluffy. 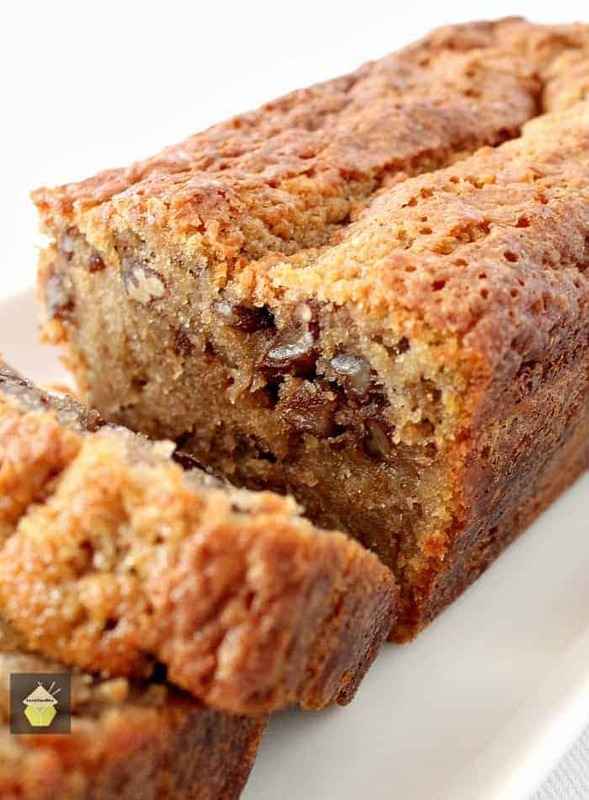 It is that part of the recipe which gives the cake a lighter texture and more spongy as opposed to dense. and finally, the yellow appearance could just be down to the eggs. The eggs I use here in Holland are organic and the yolks I have to say are very deep yellow in color, which does make the cake a darker color than usual, so I don;t suspect you have done anything wrong on the color side! I hope this helps, and perhaps when you are able, to give the cake another try. It is a very tried and tested recipe which I’ve honestly been making for many years,so I can say hand on heart it really should work! Ooh – thanks for the link!! There’s at least five or six there that I’m definitely going to try! Wooohooo! I thought you might like them! Have fun Penny! I’ve only started baking in the last year, so discovering lots of new tastes and sensations. Poppy Seeds are one of those! ! I shall most definitely be baking this one again. That is wonderful news and I’m so happy to hear about your baking! It is a wonderful thing to be able to learn and discover new tastes and sensations. that is what Lovefoodies is all about! I’d like to share with you some more of our pound cake recipes, if you take a look, I am sure there will be some ‘new’ ones that you might not have thought about, and I say give them a go if the flavour is to your liking! I’m always creating new and exciting combinations, so we’d be happy for you to check back often to see what we have on offer for you to try! Thanks very much for your feed back and keep up the baking! Omg I have just taken this cake out of the oven and it looks fab. It actually is. I cheated a little because a small piece of one corner fell off and of course I had to eat it. Fantastic. 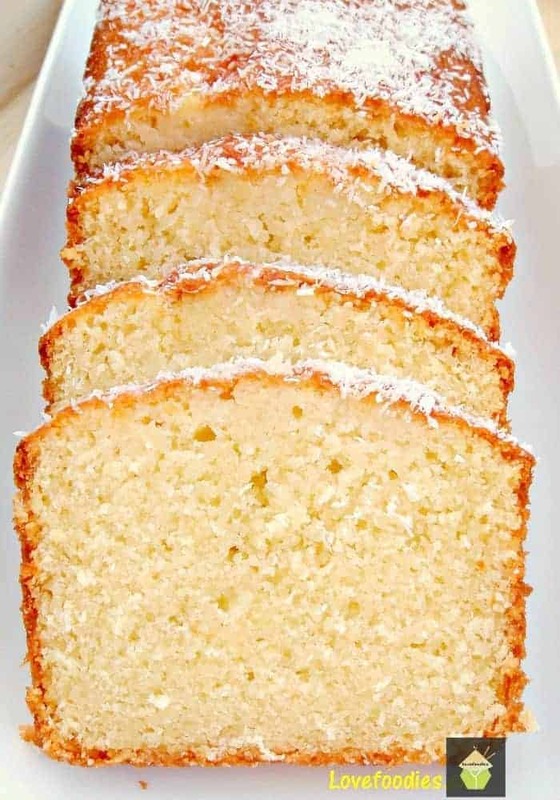 To add even a little more taste, as in your Coconut pound cake, I squeezed the juice from the other half of the lemon and put it in a small saucepan adding around 3 tablespoons white sugar to it and melted on very low heat till dissolved. I then poked holes in the cake and poured that combination over it. Can hardly wait to enjoy a piece a little bigger than the corner that fell off. lol. Thank you for the recipe, I found it very simple and to make as I am not a super baker. Hi Ada, I’m so happy you love the cake! and I’m also glad you trusted me on the cooking temperature. It really does make a huge difference with the ‘softness’ of the cake. I also do the lemon drizzle trick with my plain lemon or orange loaf cake, but for this one, I only wanted a gentle lemon taste, but I’m glad you took the initiative and used up the other half a lemon! Well done you! I think you get today’s award for happy baker! 300degrees F seems a little low to bake a cake. may I please check to see if this maybe a misprint ? 300F is the correct temperature. The reason is to cook the cake slowly to retain maximum moistness and soft texture. (pound cakes are notorious for being too heavy and often over baked or dry) If you increase the temperature, I have always found my cakes tend to over cook on the outside and also about 1 inch from the outer, leaving the inside of the cake not so good. This will ensure a much even cooking throughout the cake. It works, so please do trust me! 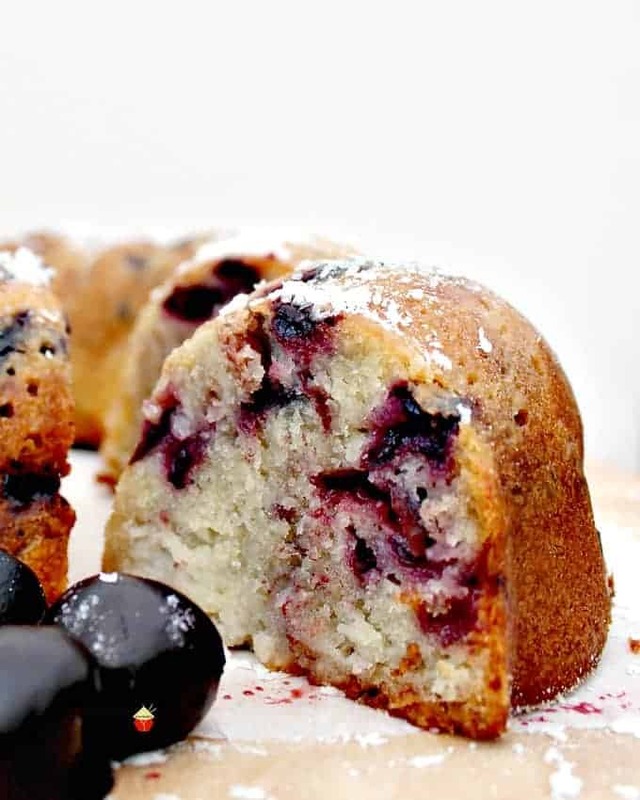 All of my pound cake recipes are baked at a lower temperature to ensure maximum deliciousness! Thank you so much for your reply and yes, that makes perfect sense. I really appreciate your help . Will give it a go really soon. Hi Monali, I have never made this recipe without egg. I suggest if you are used to making egg free cakes, then you could try whatever substitute you usually use. I’m afraid I can’t guarantee the cake will come out as the recipe because it hasn’t been tried. Thanks!